Play AllFours with your friends from the Caribbean with all the same rules. Chat with your friends while playing or just enjoy the lime in the lobby or watching a game. So you've just found out about AFO and you want to know what all the fuss is about. We created AFO to be as simple as possible to get started playing. This guide will take you through the process. When the AFO site is finished loading, you will see the title screen. If you are a new player, click on the New Player button to create a new account. If you already have an account, you can click on the Login button. When creating a new account, you will need to enter your username, nickname and password. You will use your username and password to login to AFO. Your username and password should only be known by you. Your nickname is the name that everyone will see on AFO. If the username or nickname you have chosen were already taken, you will see a message at the bottom of your screen. If you see the message 'Cannot connect to server', then there is a problem with your connection. Check the connection problems section for help. If any of these are incorrect, you will see a helpful message at the bottom of your screen. 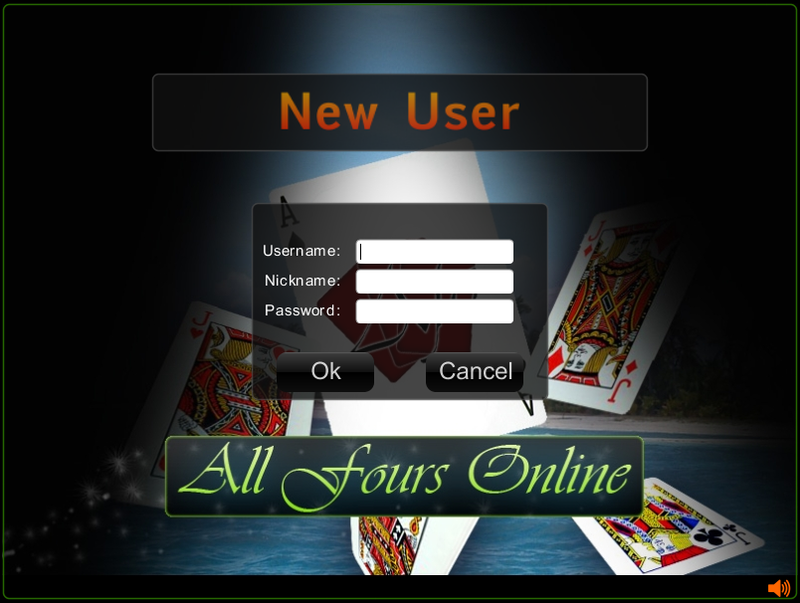 All Fours Online is a multiplayer online game, and as such, there are certain rules which must necessarily be imposed on players to facilitate the smooth running of the game and the enjoyment of the game by all players. Violation of the Terms of Service may result in a temporary or permanent ban at the sole discretion of an AFO administrator. This is not an exhaustive list. There are some things for which you may be banned depending on the seriousness of the situation and at the discretion of an administrator. 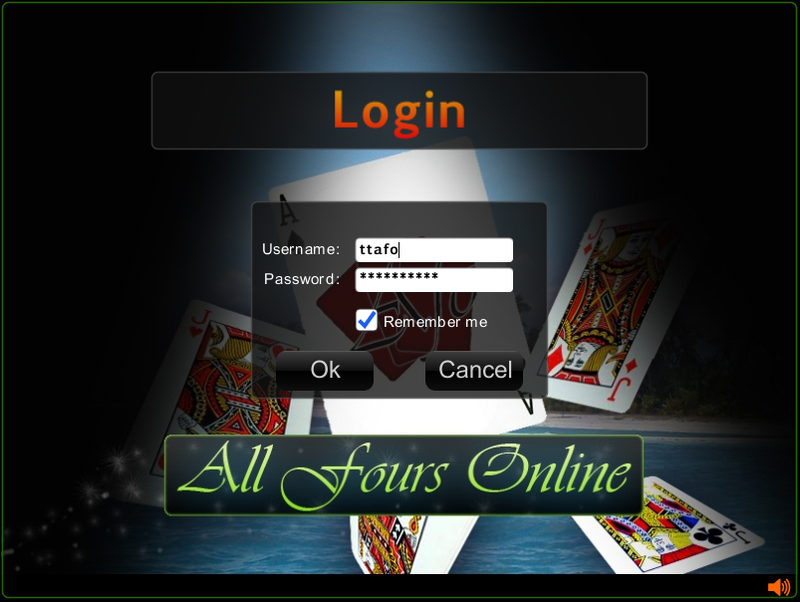 AllFours Online Wiki - Everything you need to know and more about Allfours Online. Facebook Group - Join our Facebook group and have other players help you get started.